You should make more weapons ! :3 just a suggestion--- :3 i love this game! Thank you for playing! Glad you enjoyed it! I hope to return to this project again someday and expand on it—more weapons and enemies. Someday! I love this game! we play as Marie, the helper of agent 4. and my idea was to save Agent 4 as Marie! 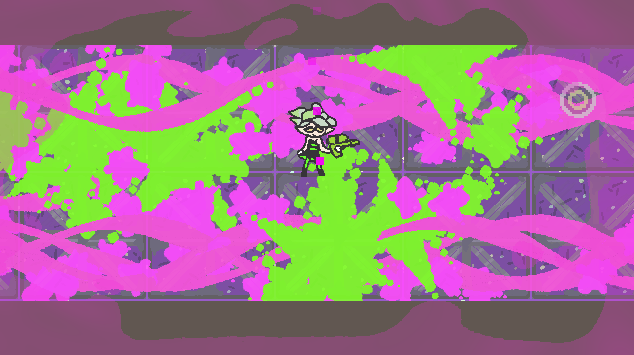 Yeah—I wasn't able to properly map each ink pixel to friendly or enemy, so I had to use approximate invisible boxes which sometimes don't get canceled even if you turn the whole area green. If I ever expand this into something bigger I will figure out a way to be more precise! Thanks for playing! You should make a Callie version too! 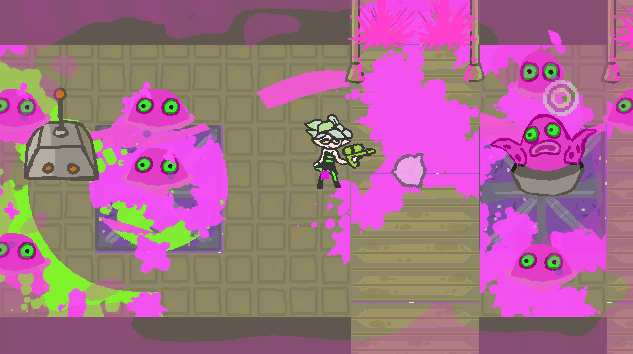 my plan was to have Marie save Callie in the game—but this was for a game jam and I ran out of time and so took the story part out. I might eventually just add a Callie in a character select—there's only like 6 total frames of animation for character so it wouldnt be hard to do. You know I had that happen to me once and I thought I fixed it. If you know how it happens or can recreate it let me know because I'm stumped on how its happening. Thanks for your feedback! Splatoon 2D with Marie. Better should be called Queen Marie.